The directors for the 10th Alexander Technique International Congress are Richard Brennan, Niall Kelly and Glenna Batson. They are responsible for overseeing, planning and implementation of the Congress in Limerick, Ireland. Organising a Congress is a major commitment requiring several years of collaborative work to carry the process through thoroughly. The current directors are dedicated to fulfilling this commitment in order to bring the world body of Alexander Technique teachers together. They are currently establishing contacts with the many Alexander groups around the world to get the word out about Congress 2015 and have been researching and inviting special guest presenters, securing appropriate venues in Ireland, researching hotels, tourist information, and restaurants that will hopefully make booking, travelling and attending the Congress 2015 as easy as possible for participants. They have constructed a workable budget, and have created the structures to notify, register, and inform the attendees, and are continuing to work with the many details that arise as we move forward. They are extremely grateful to all of the previous Congress directors who have given us such wonderful advice and guidance. They have listened intently to the feedback given from the last Congress attendees and are shaping the 2015 Congress to be even more successful, incorporating as many of their suggestions as possible. Richard Brennan is an Alexander Technique teacher, author and Director of Training at the Alexander Technique Centre based in Galway, Ireland. He has been teaching the Technique full time for 25 years. 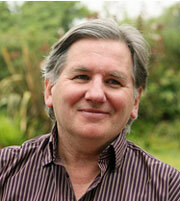 Richard moved to Galway, Ireland, in 1997, where he runs a busy private practice. He founded the first Alexander Teacher Training College in Ireland in 1998. He is co-founder and vice-president of Irish Society of Alexander Technique Teachers (ISATT), established in June, 2004. In 2007 the training course became approved by the Society of Teachers of the Alexander Technique, STAT, and the Irish Society of Alexander Technique Teachers (ISATT). Richard has taught the Technique at many educational centres in Ireland, UK, Europe and the USA. He was a guest presenter at the AmSAT annual conference in San Francisco 2009 and in 2013 he co-organised the International Alexander Technique Teachers Convention in Dublin. His books have sold over 250,000 copies and have been translated into nine languages. He has also written many articles on the Technique and has been featured in a wide variety of newspapers and magazines, including The Irish Times , The Sunday Tribune , The Irish Examiner , Cosmopolitan , Hello and Home and Country . He has appeared on BBC 1 & RTE 1 and has been featured on BBC Radios 4 & 5 and on local radio around Ireland and the UK. Richard aims to make the Alexander Technique accessible to a wide audience. He has been a pioneer in helping to make the technique accessible to many thousands of people and is delighted to be making a contribution to the Congress. Niall Kelly, MSc(Mgnt), MIITD, ISATT, mSTAT, trained to be an Alexander Technique Teacher in Galway, Ireland with Richard Brennan and was a Co-founder of The Irish Society of Teachers of the Alexander Technique (ISATT) of which he is currently president. As well as running a successful practice as an Alexander Technique teacher Niall also teaches the technique in the University of Limerick to students on the MA programme in Chant and Ritual Song and on the BA in Voice and Dance, as well as to undergraduates in Mary Immaculate teacher training college in Limerick. He runs a regular workshop on Breath and Chant in the Benedictine monastery at Glenstal Abbey, Murroe, Co Limerick and was guest presenter at the 2013 AmSAT annual conference in Chicago. He is also the director of the Alexander Technique Summer School which takes place in UL. 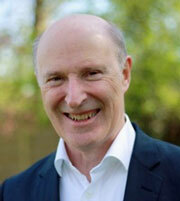 Niall is also an organisational change consultant and executive coach. He has worked in the area of organisational and personal change throughout his career. From his direct experience, he has seen how most organisations and individuals have to face wide-ranging changes to keep up with changing environments so they can readily adapt to emerging technologies in their fields. Too often he has seen how failure to do so early enough frequently results in the early demise of organisations and individuals. Niall has designed and implemented many successful change initiatives aimed at restoring efficient organisational functioning and competitiveness. He sees the Alexander Technique as an extremely effective model for change in both individuals and organisations and uniquely incorporate the technique in his coaching work. Clients of LaneKelly Associates include: Limerick City and County Council, Irish Credit Unions, Becton Dickinson Europe, O2, ESB, ESBI, An Post, Irish Refining, Dairygold, Shannon Development, Shannon MRO, Shannon Aerospace, Marathon Oil, Garda Superintendents Association, Career Decision International and the Limerick Institute of Technology. Over the last 35 years, Glenna Batson, PT, ScD, MA, mAmSAT, has drawn from multiple forms of dance, science and somatic education as catalysts for teaching, research, and artistic growth. 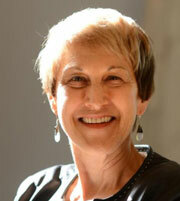 A former dancer (MA, dance education, 1978), Glenna holds a Masters and Doctorate in physical therapy (1983/2006). She has sought throughout her career to blend theory and practice in honing a trans-disciplinary approach to the study of embodied cognition. Glenna had her first Alexander Technique lesson in 1981, eventually training at the Alexander Foundation of Philadelphia (qualifying in 1989). She spent several decades teaching nationally in the USA, and internationally in Canada, England, Ireland, France, Spain, Germany, Austria, Estonia, Japan and Australia. She is a member of AmSAT, honorary member of ISATT, and a member of the STAT scientific research group. Faculty of the American Dance Festival since 1986, she designed coursework in embodied cognition for dance Masters students in the Hollins/ADF M.F.A. (2006-present). Glenna was Fulbright scholar-in-residence at the Trinity Laban Conservatoire of Dance in 2009 and the Universities of Tallinn and Tartu, Estonia, 2011. In both residencies, the Alexander Technique was pivotal in bridging the art-science gap for dance and physical therapy students. Glenna is professor emeritus of physical therapy at Winston-Salem State University (USA) and research associate professor with the Translational Science Center at Wake Forest University. She has received recognition for her clinical research in working with performing artists and adults with disabilities. She has researched the effects of the Alexander Technique on balance in the elderly, mental practice of motor imagery (Ideokinesis) and the Feldenkrais Method in persons post-stroke, and improvisational dance in Parkinson's disease. In addition to published research, Glenna wrote the chapter on the Alexander Technique for Complementary Therapies for Physical Therapy (Elsevier Inc 2008). As well, her chapter on the Alexander Technique and self-regulation will appear in the Health Integrated Training and Education (HITE Ltd) compendium, Alexander Technique in Context . She recently authored two books: Dance, Somatics and Spiritualities: Contemporary Sacred Narratives , co-edited with Amanda Williamson, Sarah Whatley and Rebecca Weber, and Body and Mind in Motion: Dance and Neuroscience in Conversation , with Margaret Wilson (both by Intellect Press UK/University of Chicago Press). She thanks all her teachers for modeling the dynamic principles of this work so beautifully, principles that are as contemporary today as when FM Alexander first evolved them.